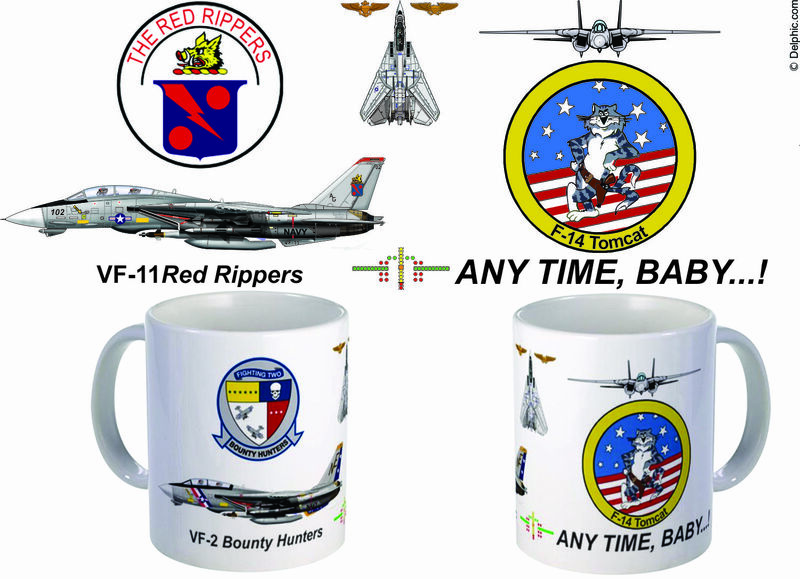 The VF-11 "Red Rippers" F-14 Tomcat mug has the squadron emblem and profile on one side. Opposite the handle, a F-14 topview with pilot and NFO wings is displayed at the top and the meatball at the bottom. 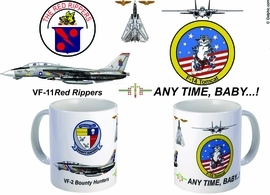 The right hand of the mug has the tomcat with the "Any Time, Baby!..." quote.